Chaska Chiropractor Is Here To Help You! Are you experiencing pain or discomfort? Are you looking for relief? Holistic chiropractic care has been known to provide relief for many symptoms. Below are just a few of the symptoms we have helped our patients with. We treat a wide variety of people and conditions. Stop headaches with chiropractic care! Headaches. 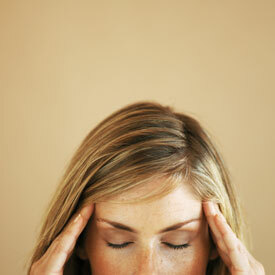 Headaches stop your body from functioning properly. Your processing speed tends to slow down and hinders you from performing your daily chores, work tasks, and having the social life you used to. Our adjustments can help relieve the root cause of your headaches. With chiropractic care, we’ll help you to lead a pain-free, energetic life! Sinusitis. Sinusitis has several causes and complications. But the constant pain, headaches and discomfort are the same for those suffering from it. We’re here to help you correct your sinusitis by adjusting your spine. With our care, we’ll try to help you breath easier and feel better while you’re body heals. Auto Injuries. Are you in pain from an auto injury? The bad news is that internal injuries could exist without you knowing, causing debilitating illness and pain. The good news is with chiropractic care, we can detect your problem and address the core issue to help you lead a pain-free life of health and wellness. Think we can help but still have questions? Call today and let’s get started!